Most of the braided goods we offer are hand crafted here in Bothell, Washington in our own leather workshop. David W. Morgan was co-founder of the company, David Morgan LLC, and the founder and creative force behind our leather workshop. During a trip to Australia in the early 1960s, David discovered a whip making enterprise still operating as it had been during Victorian times. An engineer by training and vocation, and with a long interest in craftwork, he carried this interest back to the US. He made his first whips as a hobby but imported a few whips for sale under the company name of Austral Enterprises (later changed to David Morgan). As the business grew, so did David’s interest in braiding and leatherwork. During that time, he made several visits to Australia where he learned the leather and braiding trade from some of Australia’s top whipmakers. Along with the details of whipmaking they taught him the history behind whips and their uses. By the early 1970s the business had expanded to include braiding supplies and braided goods manufactured in David Morgan’s own leather workshop. 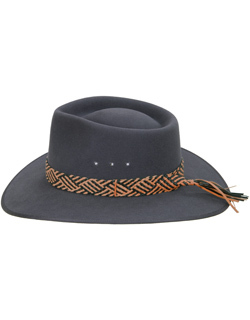 These braided goods included whips and the smaller braided accessories such as belts and hat bands, complementing the Akubra Hats, Australia’s top selling fur-felt hats, which the company had been importing to the US since 1965. In 1973, the US placed an embargo on kangaroo skins and products, effectively stopping the supply of Australian whips and braided goods to the US. David decided to keep the trade going by crafting whips from domestic calf skin (kip). He produced an American style bull whip using an Australian braided belly construction. 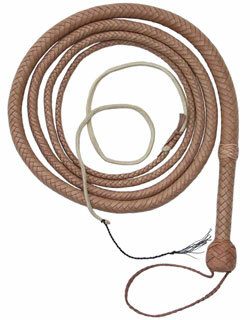 This whip style, the 450 Series, proved popular among stuntmen and performers and was used in the Indiana Jones movies. Once the embargo on kangaroo products was lifted in 1981, David switched to crafting these whips from the stronger kangaroo leather and the company renewed the importation of Australian leather goods. 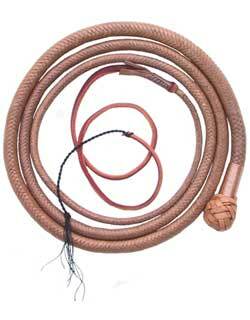 The Indiana Jones movies were the catalyst for revitalizing an interest in whips. Whip shows, the sport of whip cracking and an interest in whips and leather braiding made a comeback. David Morgan continues to craft whips in its own leather workshop for performers, collectors and whip enthusiasts. 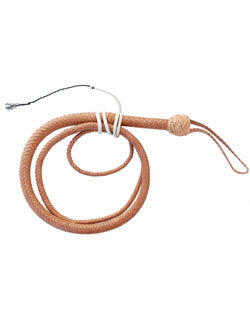 We also supplied whips for the 4th Indiana Jones movie – Indiana Jones and the Kingdom of the Crystal Skull. Co-founder of David Morgan and founder of our leather workshop, David braided for more than 40 years. His expertise has been instrumental in the success of our workshop, and, more broadly, in the revitalization of the craft. David shared this expertise with many braiders and leather workers over the years, both in person and through the books he has authored. David passed this expertise and training on to our own workshop members, in particular Will Morgan and Alex Ruggeri. David died July 8, 2015 but his past guidance, training and techniques ensure that David Morgan continues to produce superior quality bull whips and braided goods. For more information please visit our company blog. Alex and Will’s expertise covers selecting hides, cutting, paring and the actual braiding techniques. Their knowledge of how each individual braided product will vary in production, along with their knowledge of how best to utilize the leather, ensure that we produce top quality products. Alex, grandson of David Morgan, has been braiding for David Morgan for more than 10 years. He started braiding the heavier first half of the whips, the most physically demanding heavy braiding needed for the bull whips, training under David Morgan and Meagan Baldwin, and now manages the leather workshop. For each 450 Series Bull Whip, Alex selects the hide, then cuts and pares the leather. The strands are cut by hand and the edges slanted by paring so the strands will fit together closely in the finished whip. The whip is braided tightly, which takes the stretch out of the strands so that the thong will hold its shape, and not become just a bundle of loose strands. Alex or Will complete the physically demanding braiding, then Alex finishes each whip, attaching the fall and knots, creating a durable whip that works well for stuntmen and cattlemen. David’s son Will spent many years in his youth braiding for David Morgan and he is now braiding some of the whips. Will’s strength is the physically demanding heavy braiding needed for the bull whips, where he braids the heavier first half of the whip. The quality of this heavy braiding ensures a tight, even thong, creating a bull whip which cracks well and has good endurance and shape retention over the years. Will’s knowledge of the leather industry helps ensure that David Morgan continues to manufacture and offer the best quality leather goods available today. Our braided kangaroo hide belts are one of the examples of traditional craftsmanship at its best. Finely braided belts were a traditional specialty of the Australian whipmakers. 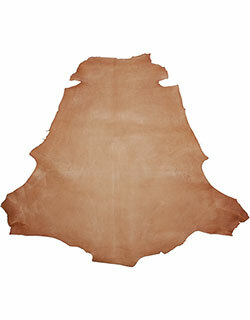 In cutting a kangaroo skin for a whip, the center of the skin was often left too small for a second whip. This leather, the prime part of the skin, was ideal for belts. The usual style was a cinch ring belt with two harness rings or dees. The individual strands are turned over as they are braided past the end section, so that the grain side of the leather remains on the outside where the end folds back at the dees. The dees are attached by back-braiding the strands in the belt. 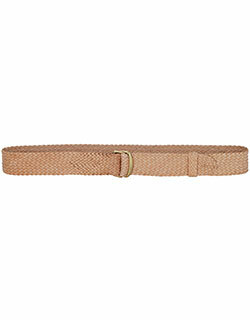 There are no stitches to give way, no eyelets to tear, and the belt is continuously adjustable. We have brought this craft to America so that you may enjoy wearing these belts.